Our team may be small but we are dedicated and ready to make this museum happen! ROBERT MCDADE is a lifelong mineral collector and engineer by training. 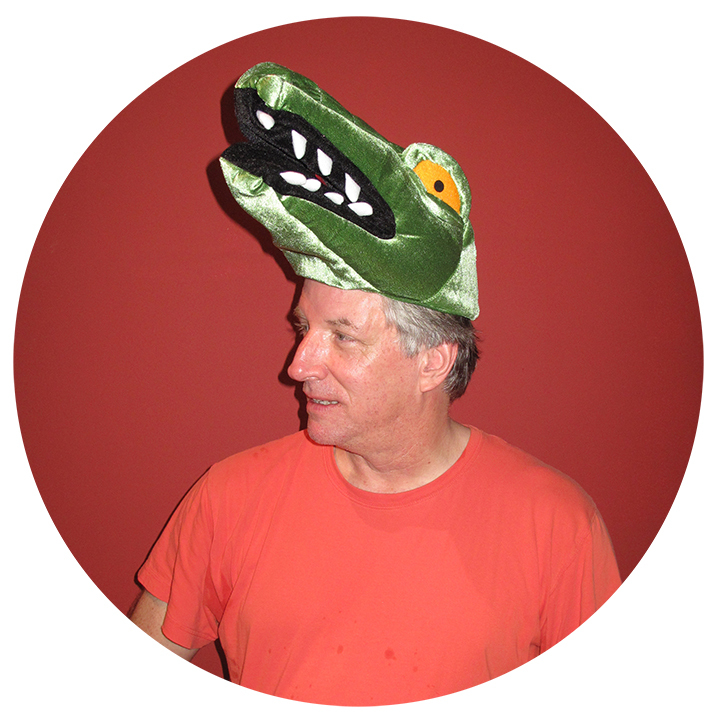 As President of Natural Selections, he sells Alligator-related souvenirs to retail shops across the country. Robert's collection started with alligator fossils and large taxidermy gators, but gradually, he noticed that the alligator as a motif is found in many other parts of American life. Fossils and taxidermy gave way to a collection including vintage leather, postcards, ordinary household items designed with alligators in mind, movies, and many other aspects of American life. PRESCOTT TRUDEAU is a filmmaker, curator, and exhibition designer with experience in both the museum and gallery fields. A graduate of the Rhode Island School of Design, Prescott was the Senior Curator at Children’s Museum of the Arts (CMA) in Manhattan prior to relocating to New Orleans. He has curated and managed project grants for the Institute of Museum and Library Services (IMLS) as well as the New York City Department of Cultural Affairs and The Keith Haring Foundation. In addition to the Great American Alligator Museum, Prescott curates and designs for The Southern Food and Beverage Museum and The Old Arabi Sugar Museum. His exhibitions have been covered by The New York Times, Vice Magazine, DNA Info, ArtInfo, ArtLog and NOLA Defender. NICK MAHSHIE, a native of Miami, Fla., holds a Bachelor of Fine Arts in Painting from the the Rhode Island School of Design (RISD). His fascination with Latin American art and culture led him to Buenos Aires, Argentina where he became a fixture of the underground music and arts scene with performances, painted costumes and public installations featuring his alterego “Tranqui Yanqui.” In the South American capital he also collaborated with museums, designers, art galleries and music venues. His work has been featured in The New York Times, The Buenos Aires Herald, Clarin and La Nacion newspapers. As an educator, Mahshie has conducted workshops with youth in Buenos Aires, Paris, and New York City. In New Orleans, he is also an Artist in Residence with Young Audiences, which brings arts learning to underserved schools across Louisiana. Mahshie’s work has been exhibited at the Children’s Museum of the Arts (New York City), Hasbro Children’s Hospital (Providence, R.I.), Fundacion Telefonica (Buenos Aires) and at Le Petit Bain, a floating Arts Venue on the Seine River (Paris).